The Brotherhood of the Rosy Cross or Rosicrucians traces its founding to the year 1407 by our beloved Father Christian Rosenkreutz and a small band of disciples. Christian Rosenkreutz had received his initiation in the Middle East from "men of the unseen" or elders of the Magi. The Magi were the first to recognize Christ and were the guardians of the old wisdom. They had survived as an underground brotherhood down through the centuries despite fierce persecution from the self-righteous. They had witnessed the corruption of faith and churches, and often masked themselves under the cloak of Sufism under Islam. It is from the Magi that we get our words image, imagination and magic, which means the "science of the magi." And it was from the Magian elders that Christian Rosenkreutz received the secret traditions of a wisdom older than Egypt. Believed to have been given by God to the first man Adam, it was passed down through Moses and Solomon. The arcane wisdom had been known and taught by Jesus Christ to the Apostles and the first disciples. It had been kept secret and revealed to only a few over the course of the centuries. This knowledge, the esoteric or inner teachings (as opposed to the exoteric or outward teachings), was regarded as too sacred to be revealed to any but an initiated few. Only those who had been tried and tested over time could be entrusted with such powerful knowledge. The existence of The Brotherhood of the Rosy Cross, however, did not become public knowledge until some two hundred years later with the publication of the Fama Fraternitatis and the Confessio Fraternitatis. 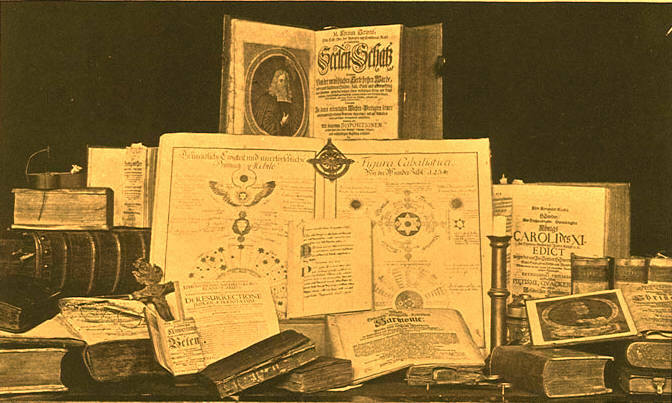 It is from these two core documents that we receive the foundation of Rosicrucian teaching and activity. They remain the standard by which one may discern authentic Rosicrucianism amidst the plethora of self-styled 'Rosicrucian' groups. Within the pages of these two publications may be discerned in code the source of their illuminating wisdom, the true identity of Christian Rosenkreutz and the circumstances surrounding the origin, the mission and the future destiny of The Brotherhood of the Rosy Cross. The subjects of much misinterpretation since, both documents were couched in the allegorical and symbolic language of the time, to avoid the intense persecution of both State and Church that had cost the Knights Templar, the Cathars and many others so dearly. They told the story of Christian Rosenkreutz, a monk who followed in the footsteps of the Knights Templar, journeying to the East in search of wisdom. He sought the source of the Disciplina Arcani, the arcane discipline or secret teaching of the Hidden Church of the Graal, the rose upon the cross. His yearning for truth had brought him to the attention of the ancient Hermetic brotherhood of the Magi, to whom he was drawn as a bee to honey. After being initiated and instructed by them, he was charged with the mission of establishing a branch of the order in Europe, to which he returned. Gathering a small group of disciples around him, Father Rosenkreuz organized The Brotherhood of the Rosy Cross for the perpetuation of the ancient wisdom and mysteries. In time the Brotherhood would come to be called "Rosicrucian." One of the aims of the original Rosicrucians was a general Reformation of the social order and especially the Church. Knowing that the earthly paradise or utopian vision could not be realized by man alone without God, they envisioned a harmony of authentic Protestant and Catholic beliefs alchemically fused into a restoration of the primitive apostolic or "Graal" Church. Though this vision has yet to be realized, it remains an essential part of the Brotherhood's mission to this day. Rosicrucianism is the secret teaching within religion and while it is not to be understood as a religion in the traditionally strict and narrow use of the term, it is the very spirit and heart of it. It was in the year 1694 that The Brotherhood of the Rosy Cross came to America as a small band of 40 disciples led by their Magister, Johannes Kelpius. They brought with them the first telescope in America and were also the first (outside Native Americans) to compose music in America. Originally known as the Chapter of Perfection they soon came to be called the Monks of the Ridge or the Monks of the Wissahickon after the place they settled near Philadelphia. They were also called the "Woman in the Wilderness" after a passage in the Book of Revelations, for they would gather nightly to scan the heavens and observe the stars, watching for holy signs of their Lord's return. Near their monastery they built a Tabernacle upon which they placed the symbol of the Rosy Cross, a cross within a heart or circle. The cross was positioned so that it would be struck by the first rays of the rising sun, illuminating it with the soft rose-colored light of the dawn. Legend speaks of many mysteries surrounding the brethren, of their nightly vigils, casting of horoscopes, alchemical experiments and strange rites. Kelpius himself dwelt in the stone sanctum of a cave in the hillside, which still exists and may be visited to this day. Upon his death, Kelpius had one of his disciples take a box of his magical artifacts and throw it into the Schuylkill River. Many believe to this day that the Philosopher's Stone lay submerged within its waters. Kelpius was succeeded by Conrad Matthai, of whom many wondrous things could be told. With the dispersal of the majority of the disciples, an inner circle of six adepts remained under the leadership of Matthai. Locals would occasionally take note of the men walking single-file along a nearby road wearing hooded robes and sandals. On nights when the stars are right, six ghostly figures may still be seen on Forbidden Drive gliding silently in the moonlight. Conrad Matthai was renown for his psychic powers and abilities as a healer. He had the gift of prophecy, could exorcise demons and was especially regarded for being able to project his astral body and bring back news from anywhere in the world. He was known as the fastest means of communication between Philadelphia and other cities prior to the invention of the telegraph. After the death of Kelpius, following in the footsteps of Christ's Apostles, many of the disciples took up the staff of travel and teaching, becoming themselves "men of the unseen." They traveled far and wide, searching for the rare person who was worthy of teaching and initiation into their secrets. They secretly influenced many of the early spiritual movements in America, including Mother Ann Lee's Shakers, who numbered secret Rosicrucians among their followers. 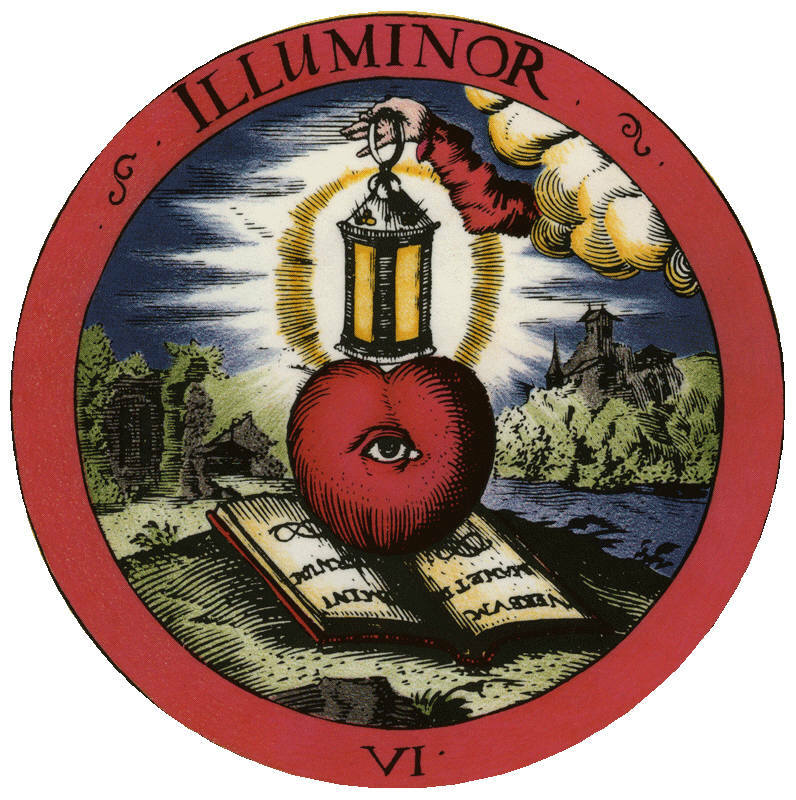 The Rosicrucian Brotherhood was particularly influential in the Ephrata Cloister or Commune, which was but the outer order of an inner Rosicrucian order (its founder Conrad Beissel was a Rosicrucian who had come to America to join Magister Kelpius). One of their areas of greatest influence was among George Rapp's Harmonists. Father Rapp was himself a Rosicrucian and an alchemist. After his death a half-million dollars of pure gold was found secreted in a vault near his alchemical laboratory which may still be viewed to this day. Again, the Harmonists were but the outer order of an inner Rosicrucian order and even today The Brotherhood of the Rosy Cross maintains a strong presence in the Harmonists' settlement at New Harmony, Indiana. This settlement was sold by the Harmonists to Robert Owen and his group of scientists, educators and social experimenters who fell strongly under the Rosicrucian influence. While no genuine Rosicrucian will ever make a public disclosure of their affiliation with the Angelic Society, it is certain that Robert Owen lived in the spirit of authentic Rosicrucianism. He later made a public confession of his conversion to Spiritualism, itself an outgrowth of Rosicrucian influence. His son Robert Dale Owen was an ardent advocate of Spiritualism and was a "ghost hunter" and paranormal investigator in the 19th century, long before it became fashionable as it is today. He wrote a book called "Footfalls On the Boundary of Another World." We will be adding more information later as time permits.